Landlords by nature assume a considerable variety of risks. No matter how hard you try your instincts about a tenant may be proven wrong; indeed, it may not even be you that is vetting them. Similarly, the way in which your house is occupied may be very different to the standard occupancy patterns of a house in which the owner lives. As a result of all of these factors, and others, you should definitely give consideration to specialist home insurance. There are a variety of benefits associated with buy to let, or ‘landlord’ home insurance. 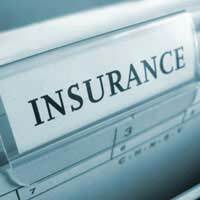 Obviously, your property will be covered against all of the events that you would find stipulated in a conventional home insurance policy. Additionally, however, you can also choose (depending on the services offered by your broker) to add a number of specialised elements. Some of the most useful of these are explained below. One of a landlord’s main concerns is ensuring a steady flow of rental income from their property. In many cases landlords will employ a property management service to ensure that the rent is paid on time, but sometimes even this is insufficient. If a tenant defaults, there is very little in practice that a landlord is capable of doing. As a result, some insurance companies now offer default protection, under which the company agrees to pay the equivalent of some or all of the absent instalments while you find another tenant. Similarly, there may be occasions on which the property becomes uninhabitable, either through a fire or other accident, through a natural disaster, or many other unforeseeable circumstances. In these situations, a good buy to let insurance policy will cover you for lost rent while the building is being repaired. Perhaps the most vital component of a buy to let insurance policy is public liability cover. Once you begin renting your property to another individual, its legal status changes; you are required to insure yourself, in the same way as an employer must, against any death or injury caused to tenants of members of the public as a direct result of the building itself. You should note that most insurers will offer £1 million or £5 million in public liability cover. If you only require £1 million, make sure that you get the right quote. There are a number of aspects to look out for when considering buy to let insurance. Primarily, you should make absolutely sure that the company you choose offers sufficient cover for your circumstances; read the details of the policy, and don’t necessarily just go for the cheapest quote. It is also vital that you provide the insurance company with correct information regarding your property. In the first instance this is important because, if you provide false or inaccurate information, the policy may be invalid. Secondly, entering inaccurate information (for example, giving the market value rather than re-build cost of your property) may have a huge effect on your premium. Finally, you should also investigate any tenancy restrictions that your insurer stipulates. Many companies will refuse to insure ‘high-risk’ tenants such as students; if this is unsuitable for your circumstances, you may have to seek out a specialised company.